Rena Shapiro, whose own mother was a chef, learned at an early age the significance of knowing what's in our food. Her childhood curiosity led to her official studies in nutrition. Rena is a Registered Dietitian and a Certified Dietitian Nutritionist specializing in pediatric nutrition. She graduated from SUNY Oneonta with a BS in Nutrition and Food Service Management. As part of her education, she completed a hospital-based internship at Mount Sinai Medical Center in New York. Upon completion of her internship she went on to Beth Israel Medical Center where she worked as a Clinical Dietitian focusing on Pediatrics and Critical Care. Later she became the Clinical Nutrition Manager at St. Vincent’s Hospital. She also has experience counseling both children and adults from her years in private practice. Rena has incorporated the lessons from her training to educate her clients on creating an environment where mealtimes are healthy and enjoyable. Through individualizing meal plans, her goal is to teach her clients sustainable skills for making nutritious food choices, as part of a well-balanced lifestyle. Rena is also the co-owner of White Silo Farm and Winery, a family owned business in Sherman, CT. She is responsible for all food and wine festival event planning and is curator of the on-site art gallery. Rena is an active member of the Academy of Nutrition and Dietetics. She also serves on the Board of Directors for Arts In Action, Visual Art Program, a non-profit fine art program in New York City. Rena lives on the Upper West Side with her husband and three children. Vicky is a Registered Dietitian and a Certified Dietitian Nutritionist who specializes in family and childhood nutrition. As a busy mom, Vicky understands the challenges of eating well and staying healthy. Vicky focuses on the basics: how to buy, prepare, and enjoy fresh, local, unprocessed foods. With her lifestyle-focused approach, Vicky will help you achieve optimal health by designing a plan that’s right for you. 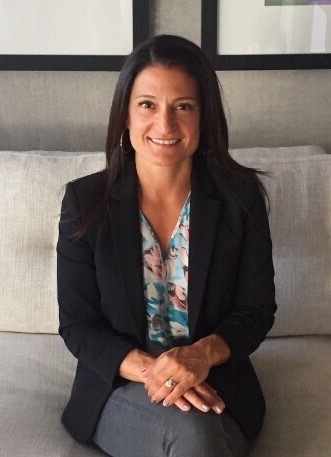 Before going into private practice in 2011, Vicky worked at the New York Children’s Health Project in the South Bronx, where she counseled kids and adults and taught nutrition education at schools, homeless shelters, and community centers. Vicky is also the co-founder of Apple to Zucchini, a healthy eating resource to help parents make informed choices about what they are eating (and feeding their kids). Vicky has a BA from Cornell University and a Masters of Science in Nutrition from NYU. Prior to becoming a nutritionist, Vicky spent four years as an editor at O, the Oprah magazine, and later worked as a restaurant publicist in New York and Los Angeles. Vicky is an active member of the Academy of Dietetics and Nutrition, Greater New York Dietetic Association, New York State Dietetic Association, and New York City Nutrition Education Network, and is on the board of the West Side Montessori School and Generation Harvest, City Harvest’s group of young philanthropic professionals. Vicky lives on the Upper West Side with her husband and three young boys.